TV with Thinus: Survivor South Africa's first-ever Cape Town finale for Survivor SA: Philippines on M-Net will be done from Silverline Studios with parts of the set shipped home - and new surprises. Survivor South Africa's first-ever Cape Town finale for Survivor SA: Philippines on M-Net will be done from Silverline Studios with parts of the set shipped home - and new surprises. The 6th season's 2-hour finale of Survivor South Africa: Philippines on M-Net (DStv 101) will end on Thursday 16 August with host Nico Panagio revealing the winner and final vote tally in a live broadcast that will take place in front of a live studio audience done for the first time from Cape Town and that promises some new surprises. The previous 5 seasons of Survivor South Africa on M-Net, all had final episodes done from Johannesburg, South Africa but Afrokaans, the production company that took over from this season, decided to move the cast reunion and big winner reveal to the Mother City. TVwithThinus can reveal that the Survivor South Africa: Phillipines season finale will take place at the Silverline Studios in De Waterkant, Cape Town. Lani Lombard, head of M-Net publicity, told TVwithThinus that Cape Town's notorious and notoriously fickle and fast-changing weather won't be a problem. "We considered several venues around the country for the final and the Silverline Studios met all our requirements." "This season has also become known for its twists and turns and building on this trend, this is the first time that a Survivor South Africa final will be held in Cape Town." The exclusive guest list to fill the Survivor South Africa live studio audience will include the clean-scrubbed Survivor SA castaways, the media and sponsors, as well as celebrities who are fans of the show. Fans of Survivor South Africa: Philippines haven't been forgotten with viewers who want to get access to the event and attend the finale who can win tickets on the Cape Union Mart and Huawei social media platforms. As to what part of the special 2-hour Survivor SA: Philippines broadcast will be a live broadcast, Lani Lombard says that during the first hour viewers will see how the last two days played out on the Survivor island in the Philippines that were filmed a few months ago earlier this year for 39 days around El Nido, Palawan. Thereafter the action will move to the Silverline Studios in the V&A Waterfront precinct, used by several American TV shows and films shooting in South Africa, for the winner announcement and the reunion show. "There will also be prize handovers and a couple of surprises. We're not saying exactly when the winner will be announced," says Lani Lombard. And where has the votes been kept since the island voting? "The votes that were cast at the final Survivor SA: Phillipines tribal council have been in executive producer Handrie Basson's possession from the second that host Nico Panagio walked off the set with the urn," says Lani Lombard. "He has kept them under lock-and-key at an undisclosed location and they will only surface again when Nico opens the urn and reads them out to the castaways on 16 August." Asked what production wise might be different in and during this season finale, Afrokaans' Handrie Basson, executive producer, tells TVwithThinus that "we had some of our set elements shipped from the Philippines and it docked in Cape Town harbour, close to the studio". "It allows us to use more elements from the island in the overall set build of the Survivor SA: Phillipines live finale broadcast." "The outside broadcast (OB) set-up and technical specifications will be similar to M-Net's other live broadcasts. Our Cape Town studio allows for a big studio audience, plus the scope to create a showstopper set, playing homage to our Philippines set." While previous Survivor SA finales literally shipped in sand to the soundstage, Afrokaans is promising some new surprises to close the latest season. "We will be crossing back to the island for the final two days - day 38 and day 39 - during the live broadcast to watch these events unfold," says Handrie Basson. "These pre-recorded inserts will live side-by-side with live crossings from the Cape Town studio." 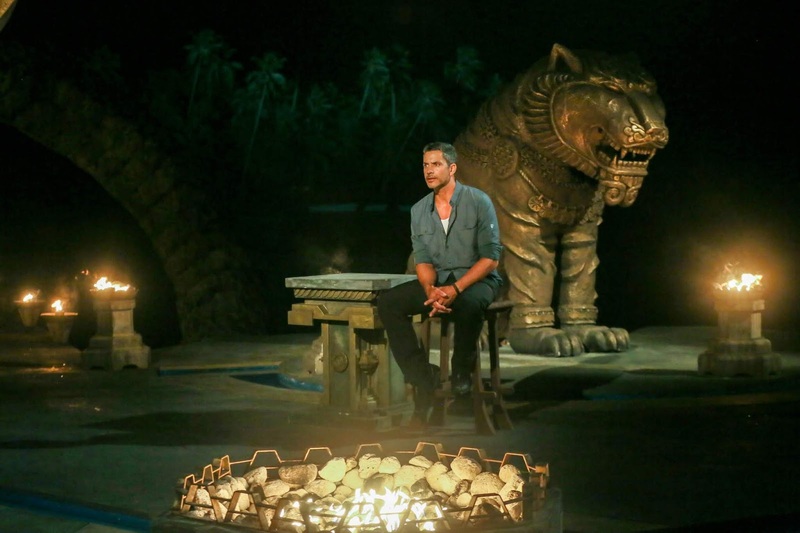 "Our art department is recreating some elements from our iconic set from the Philippines that will feel familiar to what viewers saw on the island, as well as some pieces from the actual set that was shipped back to South Africa." "The studio set will look and feel familiar to viewers, but with tweaks to maximise the experience for both the studio audience and the viewers at home." The 2-hour finale of Survivor SA: Philippines will start on M-Net (DStv 101) on Thursday, 16 August at 19:00 until 21:00.